Results of a test undertaken on 3 lofts with an average of 100 youngsters last season in the Netherlands with the Czech combi vaccine Paramyxo-Herpes which is not registered in NL/B/DE etc., probably only in the Czech Republic. As I used to write about herpes vaccines, and that was about 25 years ago, I didn’t have a great deal of faith in them at the time. This was confirmed subsequently by the University of Merelbeke (Ghent). 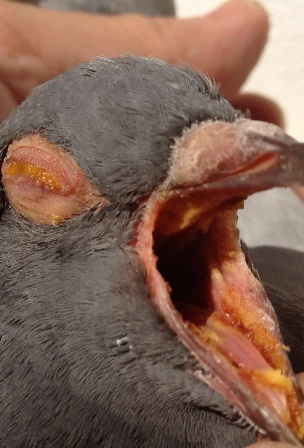 Herpes for pigeons should be distinguished into 2 types, which I haven’t seen a single colleague do so far. Type I is found in old and young birds and can be shown in many birds without any problem (latent carriers). Type II is only found in young pigeons. But, unlike type I, this type II can be deadly for young pigeons, within 5 days. The classic symptoms are isolation, sitting together, not drinking, not eating and also bright green droppings. No vomiting, emaciation, blinking eyes, scabs between the eyelids that are often half closed, loose yellow tissue in the mouth, the mucous membranes in the mouth are bright red. These pigeons are irrevocably lost and no therapy will help. Mortality comes after about 5 days. There are some clever people who put in a cotton swab and find some trichomonas (yellow) and assume that these pigeons have tricho and that is the cause of the disease. That they have tricho is true, but that has nothing to do with it because the diagnosis is of course Herpes II. But for some, unfortunately, that is the ignorance with which a wrong diagnosis is made. I have studied this disease for more than 40 years and so far, I have only found 1 cure which stops the further spread and that is 1 single injection with an antibiotic! This is certainly not a vaccine. And what some misinformed people, in the know, have sometimes suggested. In the 3 lofts, with on average 100 youngsters, we vaccinated all the even numbers. At the end of the season we saw no difference in the performance of the youngsters between the even numbers (vaccinated youngsters) and the odd numbers (unvaccinated youngsters). Also, in terms of the losses, there was no difference to be seen. Also the youngsters had the same degree of membranes, wet eyes, or as I call it for years, the common national (and international) young pigeon disease: ornithosis, in short the most important form- and condition-reducing factor in young (and by the way, also in old) pigeons, something you would have known for years if you had read our pieces regularly. 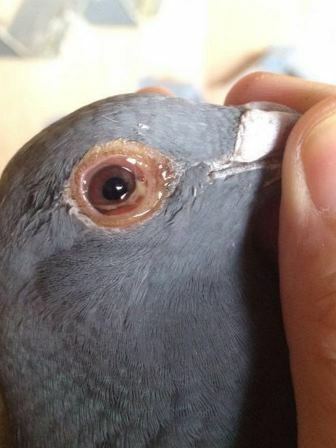 This combined vaccination will of course not be done in the future, it was after all only a practical test with 300 pigeons, because we saw no difference with the unvaccinated pigeons, which I duly noted.